Over arch elasticated support. Ribbed detail to calves. US flag print. Warm machine wash.
Stance Banner Crew Sock. 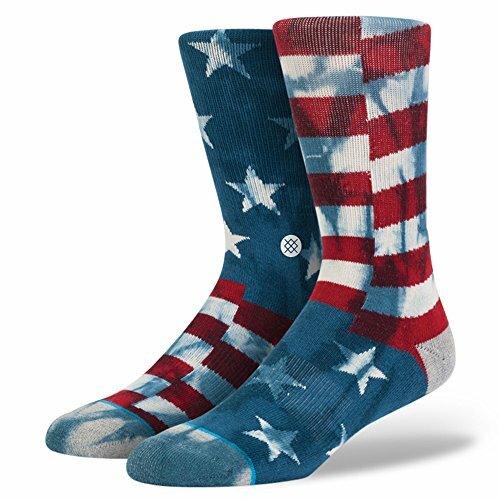 Men’s crew socks. Over arch elasticated support. Ribbed detail to calves. US flag print. Warm machine wash. Avoding bleaching or ironing. Dryer not recommended. Made with a soft premium combed cotton blend. Imported. Vendor Style #: M311B14BAN.